For small to medium-sized businesses (SMBs), an IT network failure can be devastating because they don’t have the resources of large corporations to bounce back from such disasters. Preparation against such devastation may be the only course for them to avoid failure and survive with the least damage if failure occurs. SMBs must be proactive in recognizing the eventuality of a cyber attack or human error that can cause data loss and disrupt business continuity. This is what needs to be done to help prevent a potential failure. Summary: We now know IT system failures have very serious consequences for SMBs. We also know that they can avoid such failures by being proactive. Many SMBs are now turning to cloud-based services and virtualized backup solutions to mitigate downtimes and network failures. Virtualization and cloud computing have enabled cost-efficient business continuity by allowing entire servers to be grouped into one software bundle or virtual server – this includes all data, operating systems, applications, and patches. This simplifies the backup process and allows for quick data restoration when needed. 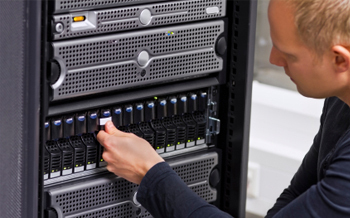 See how our backup and disaster recovery solution can help you.